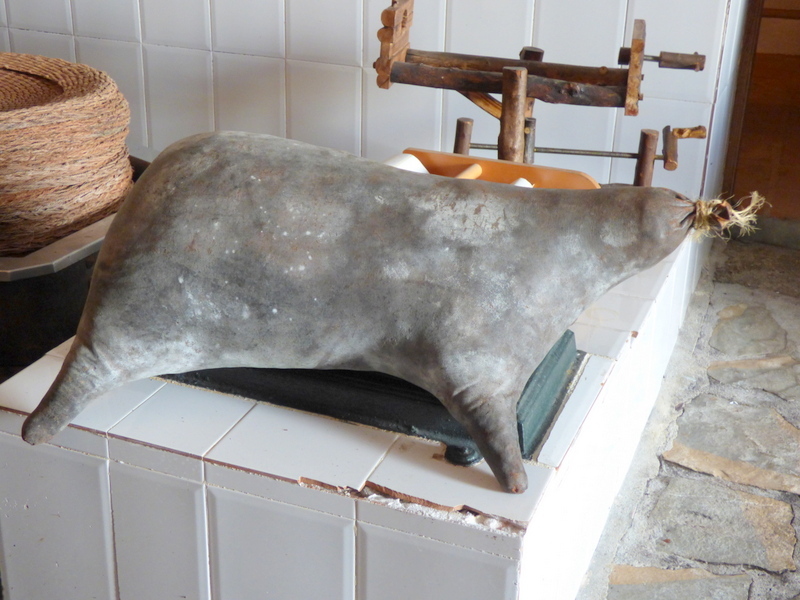 On Friday 20th January, 46 of us, visited the most amazing house Museum, situated in El Valdes, Moclinejo. 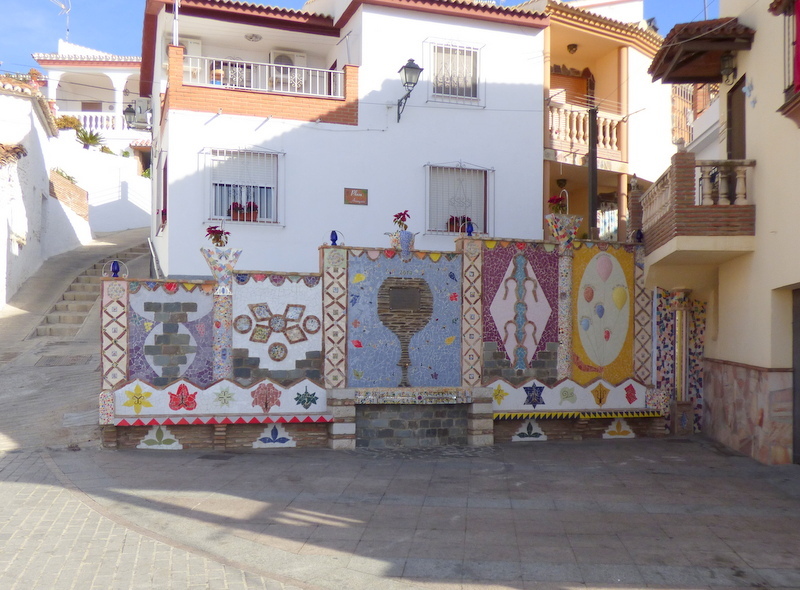 First of all though, we visited the main square, where a fountain with surrounding mosaics, depicting the villages in the area has been created. 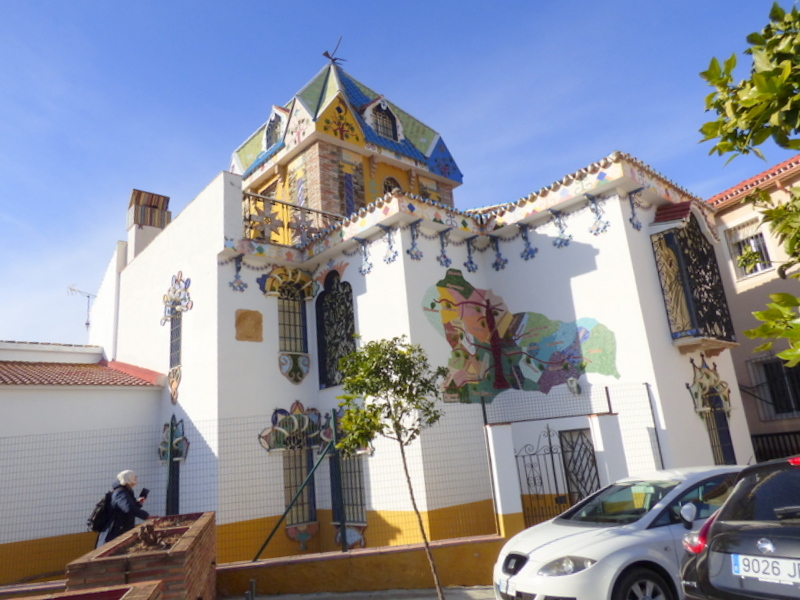 This fountain and The Museum is the legacy of Antonio Montanez, who has spent years collecting artefacts from the Axarquia region and this is the culmination of his years of endeavour. 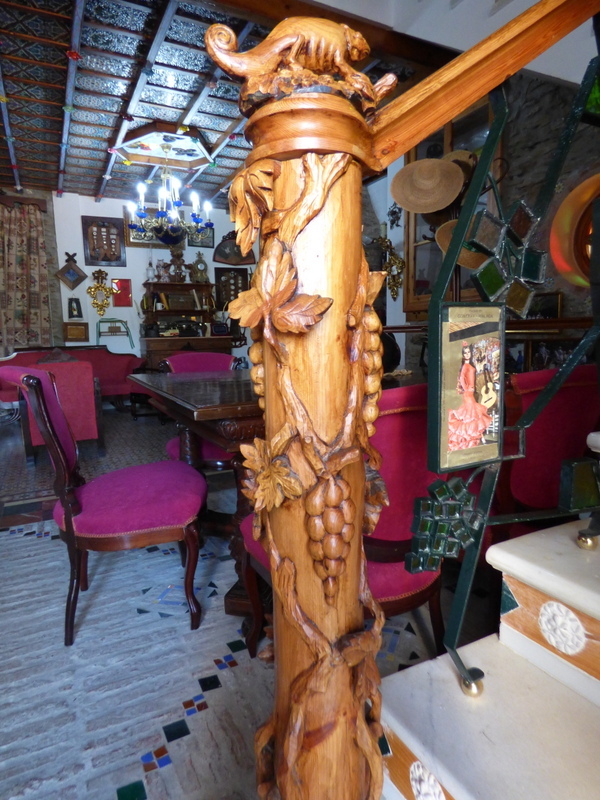 His vision has created a wonderful record of items, some of which have been salvaged but which has also enabled local craftsmen to display their wonderful skills. 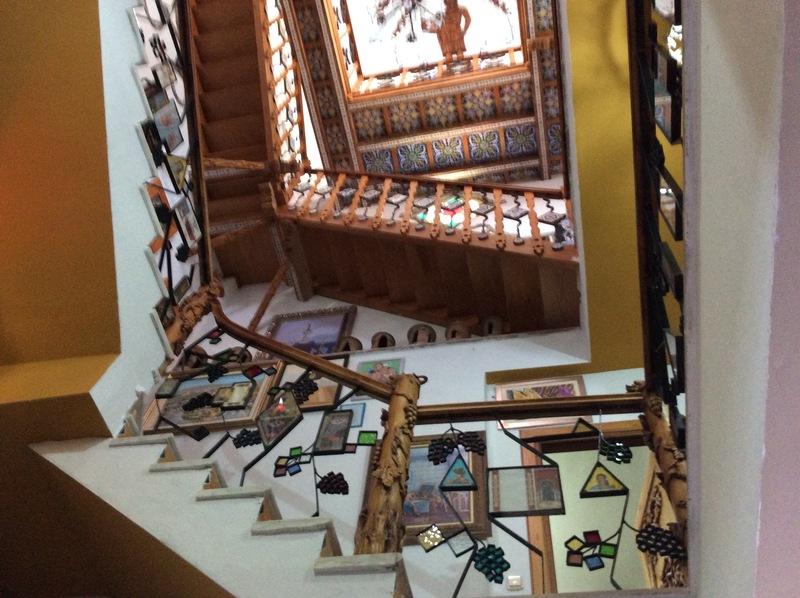 As there was no property suitable to display the collection, Antonio designed and built a house on 5 floors ! 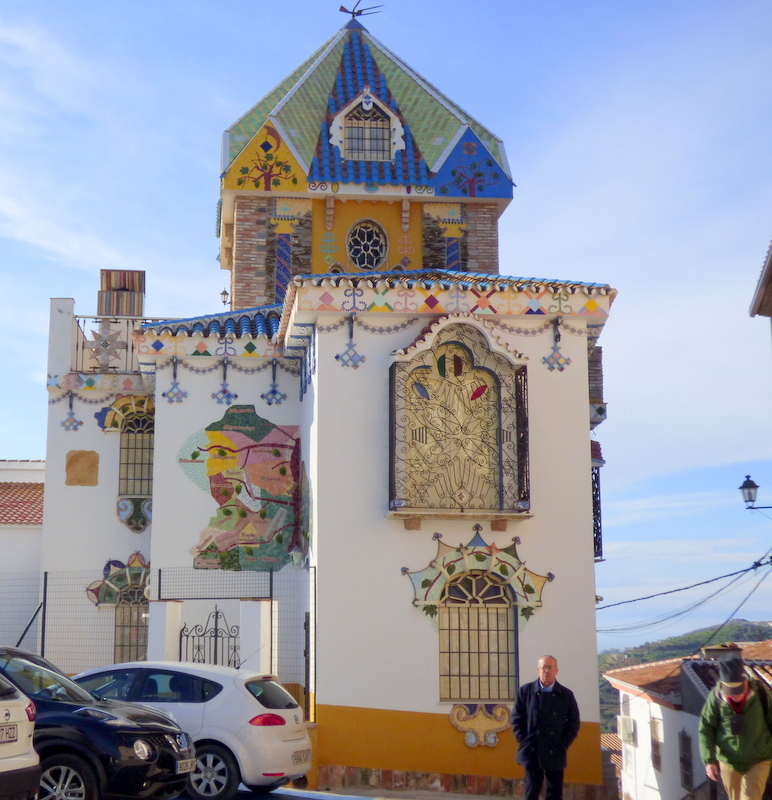 On the outside of the house, are very distinctive mosaics and a tower. 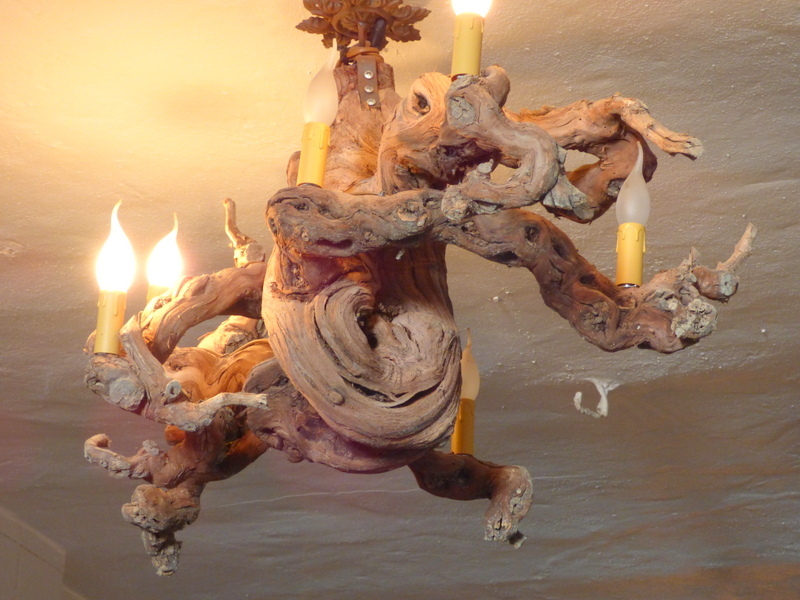 His care and eye for detail is spot on and each of the 5 bedrooms has original furnishings & interesting works of art. 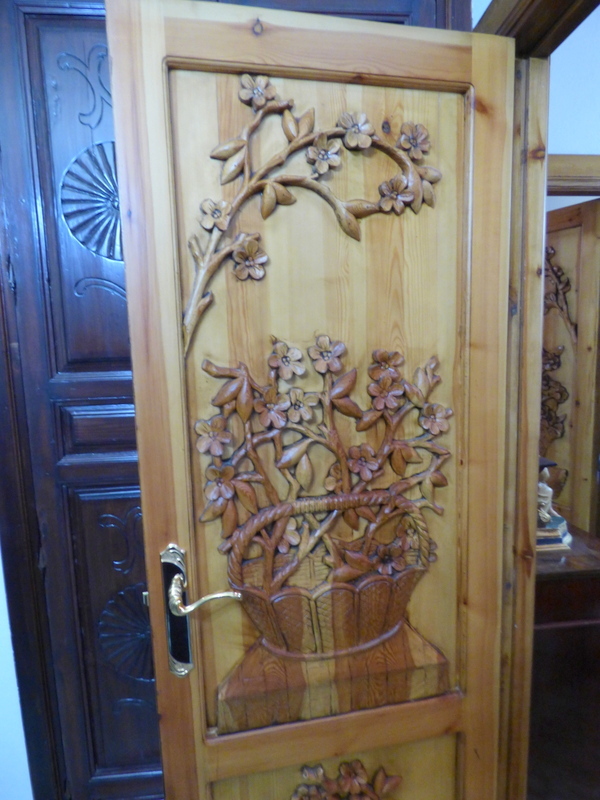 Each of the doors has been carved exquisitely on both sides and also along the banisters, which also has intricate designs with wrought iron, coloured glass and ceramic mosaics. The kitchen looks ready for use and again, is furnished with original items, beautifully displayed. 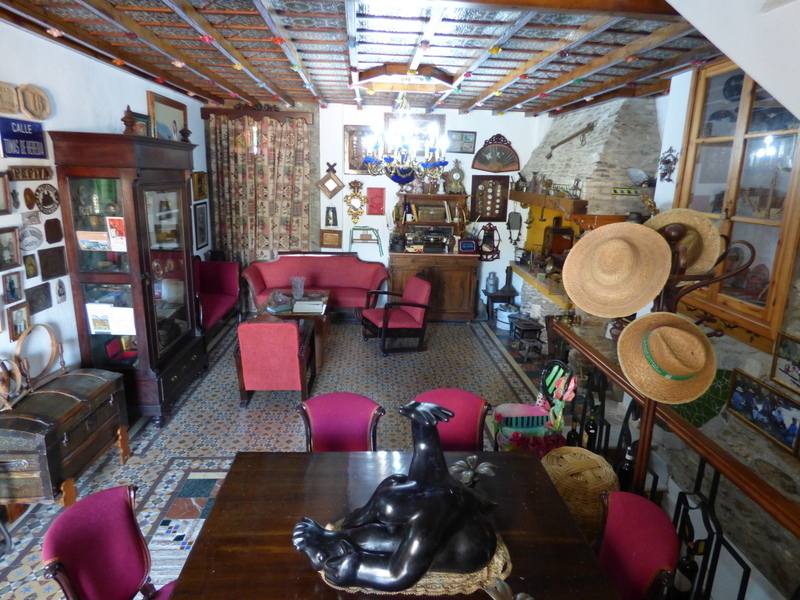 On the lower floor is a fully equipped Bodega/ bar, not for commercial use but displaying a range of original items. Many works of art have been donated by local artists, to show their appreciation and approval of what Antonio has achieved. There is so much to see that we could go back again and again ! 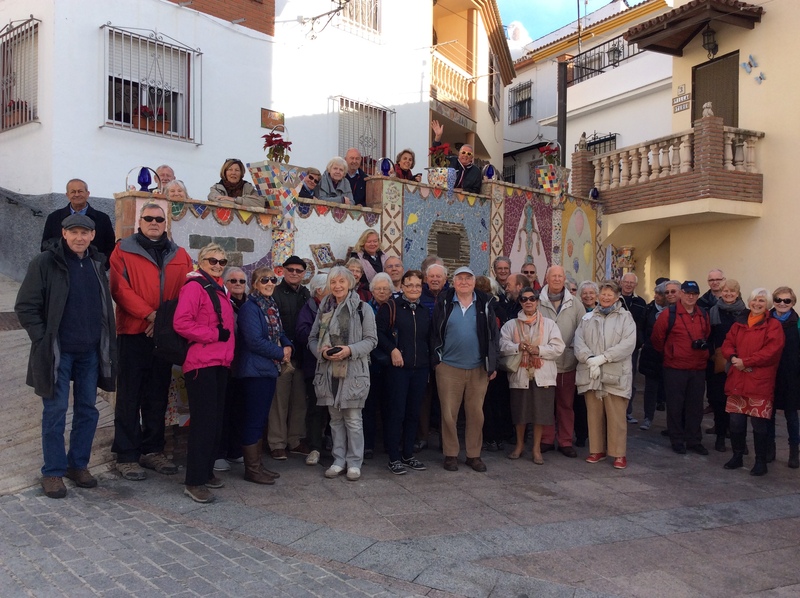 The group then moved up to Moclinejo for a walking visit around the charming white village, starting with the family run Bodega, which has antique machinery and is famous for Moscatel. We also saw the Church and the Exhibition space, featuring the works of some local English artists. 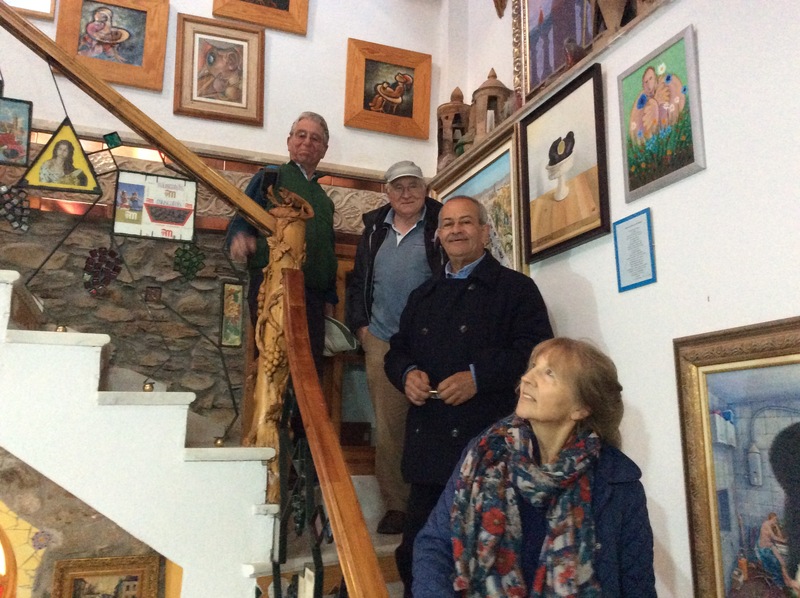 We were impressed particularly by the works of Andrew Johns who lives in Moclinejo. On the off-chance, I enquired if he was at home and low and behold, he was and very kindly invited those of us who wanted to, into to his studio. 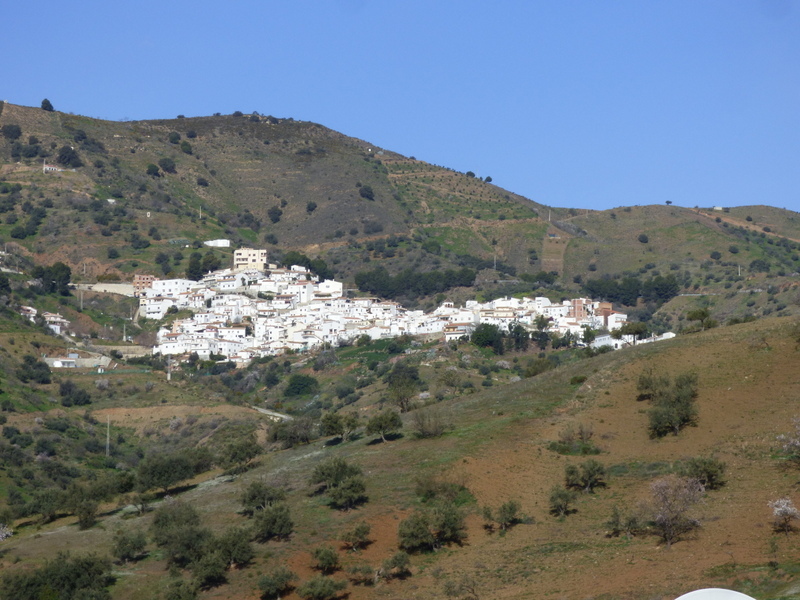 We then adjourned to a local restaurant in the pretty main square for lunch with local wine. 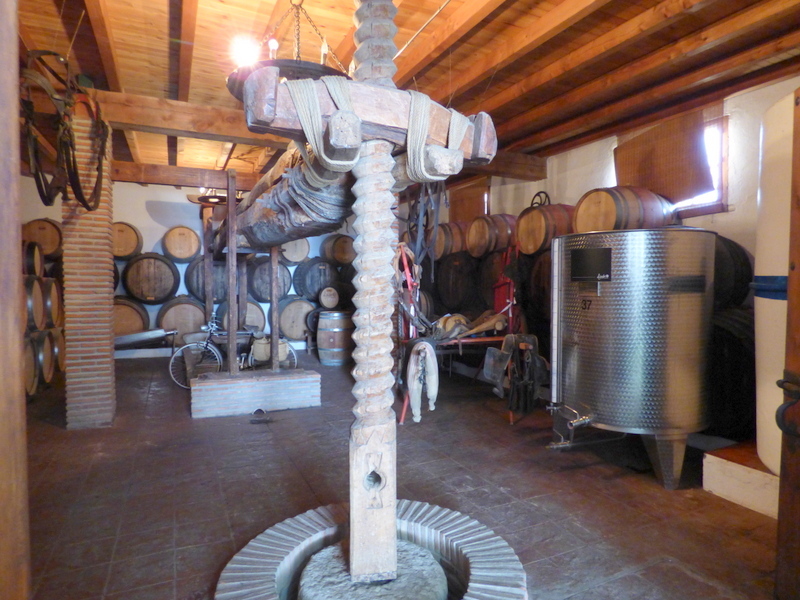 We were able to purchase the local wine on our way home – all in all, a very good day was had by all.